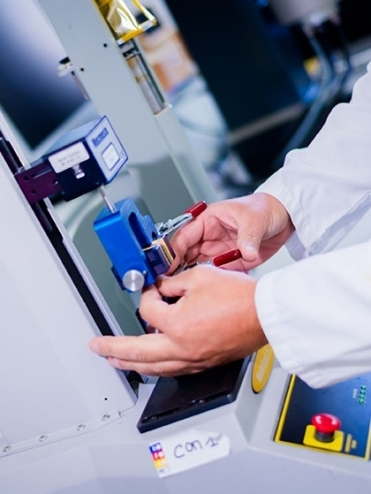 We perform tensile strength tests (tensile test bench) to mechanically characterise elastomers and adhesives. For the former, we evaluate deformation and elongation at breaking point, and for the latter we analyse shear stresses and bond failure profiles. 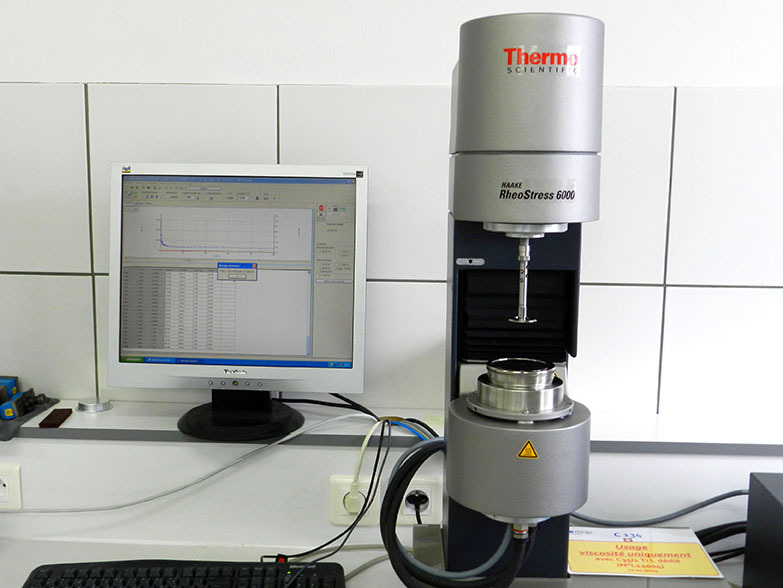 These tests are carried out on MECMESIN tensile test benches with extended range. Dynamic Mechanical Analysis (or DMA) is used to determine the thermal and mechanical properties of a viscoelastic material. This technique involves applying a given displacement amplitude to a sample, while simultaneously measuring the sample's response as a function of temperature. The amplitude of deformation is such that the response is viscoelastic. The material thus reacts differently according to the temperature: at very low temperatures it exhibits elastic (fragile) behaviour, with the behaviour becoming more viscous (ductile) as the temperature increases. their viscous behaviour, i.e. when a force is exerted, the deformation is permanent and takes account of the energy dissipated in the form of heat. The loss factor also defined by tan δ. This value reflects the damping of the material. The angle δ represents the phase angle, i.e. the phase difference between the force signal and the displacement. The rheological properties of coatings have a direct impact on their method of application, as well as on their behaviour once applied. This is why we characterise our coatings according to shear frequencies and temperature, in order to master the rheological profile during design, but also during systematic checks on our products. 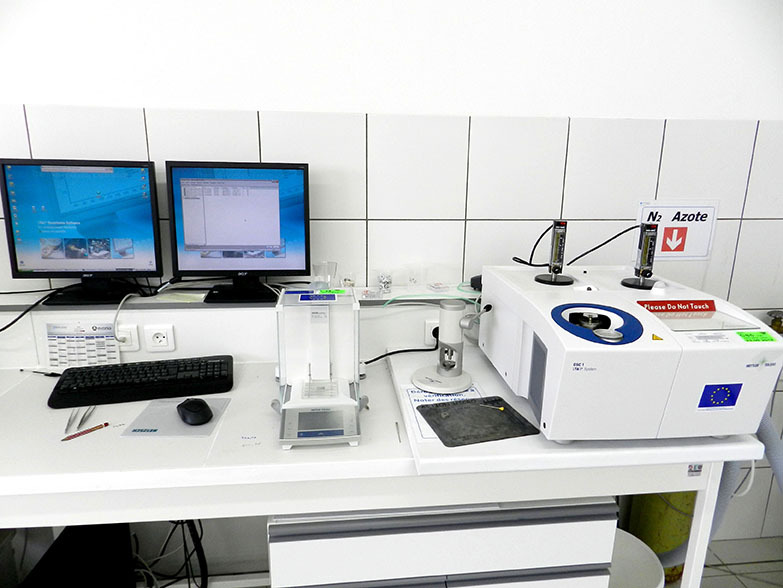 This characterisation also allows our customers to obtain rheological data specific to their operating conditions. Measurement range: from 185 nm to 3300 nm. Tungsten halogen lamp and a deuterium lamp. Bandwidths: 0.05 to 5 nm for the UV//VIS range and 0.2 to 20 nm for the NIR range. Detectors: R6872 high-sensitivity photomultiplier for the UV/VIS range, high-performance thermostatic PbS cell for the NIR range with automatic switching. Use of an integrating sphere 150 mm Pbs Module (sphere with Spectralon coating, of 150 mm diameter). Measurements performed in accordance with standard ECSS-Q-ST-70-09C, i.e. between 250 nm and 2500 nm. Frequency range: 8300 - 350 cm-1 with a Ge-KBr beamsplitter with resolution better than 0.40 cm. Measurements performed in accordance with standard ECSS-Q-T-70-09C, i.e. between 2.5 µm and 20 µm. The main property of space materials is the outgassing property which must comply with standard ECSS-Q-70-02C . The data collected comprises: the total mass loss (TML), the water vapour regained (WVR), the recovered mass loss (RML = TML - WVR <1%), as well as the collected volatile condensable material (CVCM <0.1%). The data is obtained from accredited laboratories using a VCM test installation operating at 125°C, under 10-5 mbar, for 24 hours. 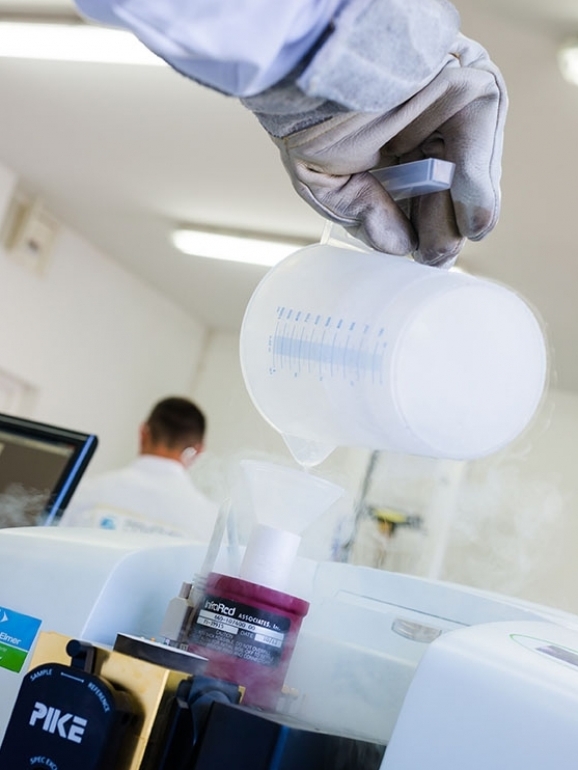 This covers a broad spectrum of thermo-analytical techniques that characterise one or more physical properties of a substance undergoing a programmed temperature rise as a function of time. Our TGA equipment is thus able to carry out analyses under high vacuum up to 10-5 mbar and can therefore simulate the measurement of outgassing under vacuum. Our elastomer resins (MAPSIL® QS 1123, MAPSIL® 213, etc.) and our coatings (SG121FD, etc.) 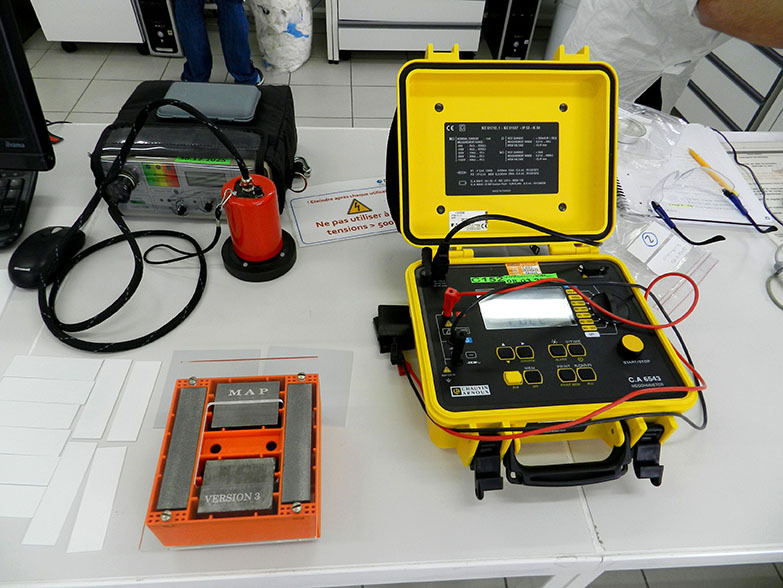 are tested under vacuum using a NETZSCH STA 449 F3 Jupiter analyser coupled with a turbo pump to simulate outgassing tests. The results are in agreement with values collected according to the ECSS standard. The TML, RML and WVR equivalents are thus obtained. MAP has put in place this analysis method specifically adapted to the space industry thanks to its precision and repeatability, its short lead time and its low implementation cost.